The last several days have been beautifully warm and golden. The leaves are at their peak here in Philly. I haven't been out and about with my camera lately but did get in a few shots during a stroll along the Wissahickon trail while our son was here visiting this past week. The image above is the stream's reflection of autumn at its best. 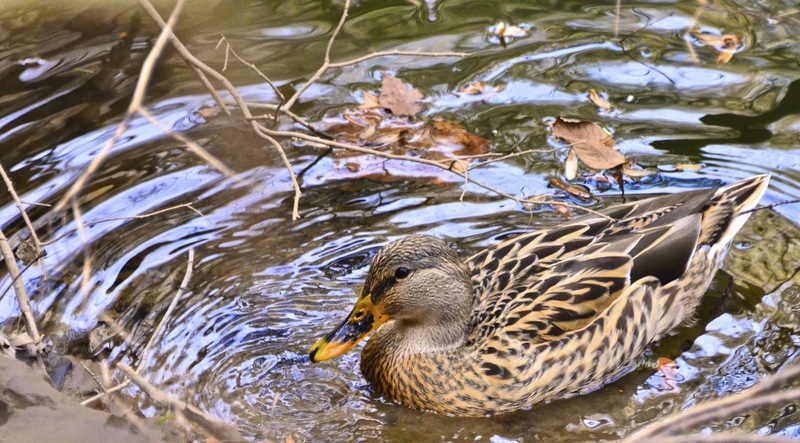 I sat for a while along the stream watching the ducks paddle about, scooping up some edibles along the shallow bank. 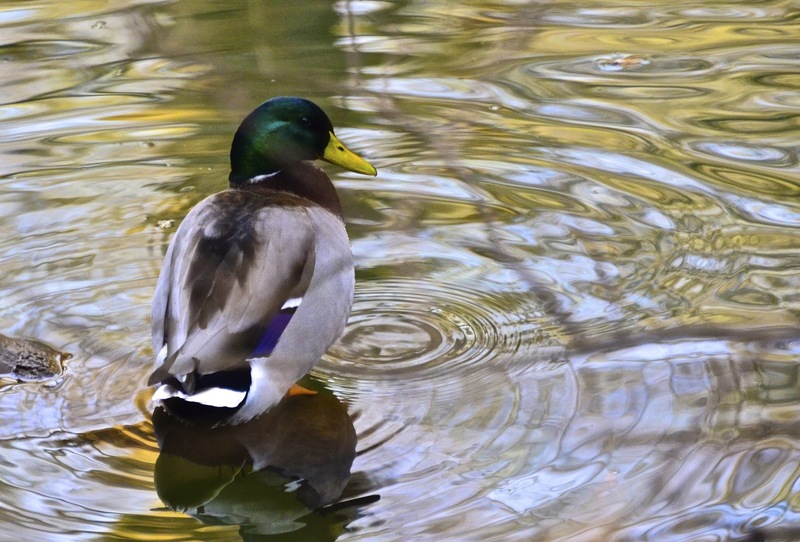 I rarely get duck photos so I was pleased to add a few to my collection. 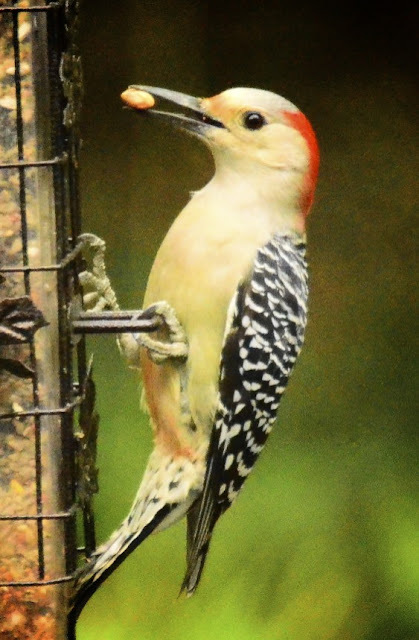 of my backyard feathered friends. 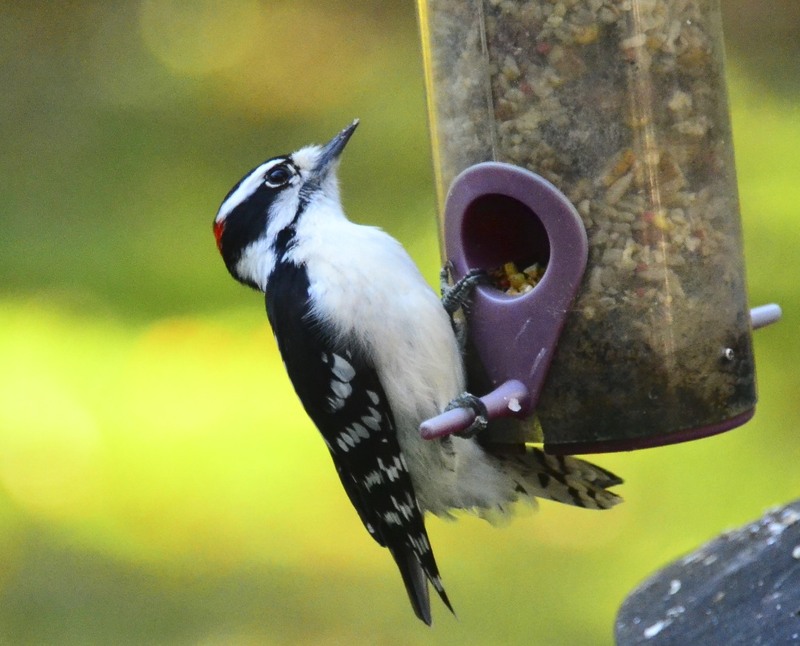 emptying my feeders every couple of days! until they find exactly that right peanut. 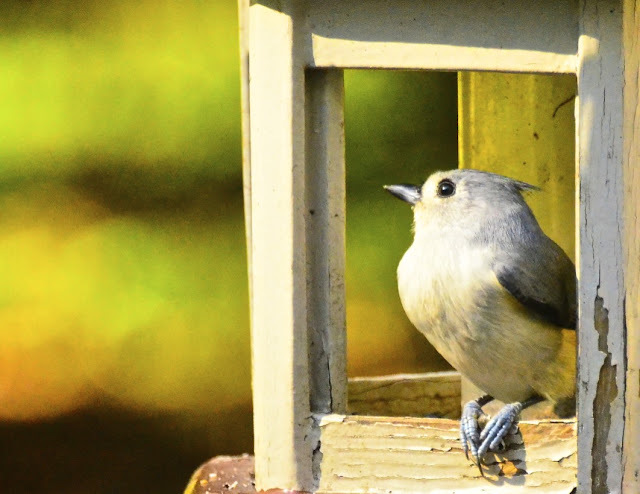 as this mournful little titmouse waits for a refilling. Guess I better get my hiney in gear! a bit of their fall with you next week. Gorgeous reflections and colors and I do love all the ducks and birds! Delightful captures as always, Reena! Have a safe and wonderful trip! I do look forward to your photos!! you travel more than anyone else i 'know'. :) be safe and enjoy. these photos have the most lovely color and light! Have a wonderful time exploring autumn in Amsterdam. I bet you come home with wonderful photos. I have been looking at new lenses for my camera and your photos are why--They are amazing! I hope your trip is a safe one, and I'll look forward to more incredible photos!! wow, you are one busy lady. safe travels. can't wait to see what you see. lots of good walking to be had in Amsterdam. Those ducks look to be walking on water. Beautiful photos Reena. Some of the birds are very similar to our British ones and others completely different. I always like your titmice. 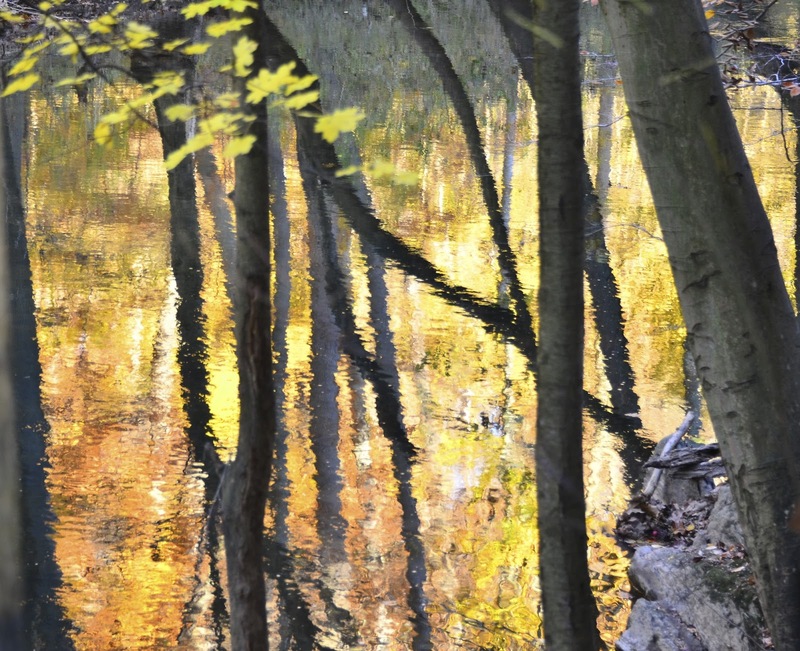 What spectacular Fall images and reflections. Have a great trip and we look forward to seeing you here when you return. Lovely photos, Reena! Have a great trip to Amsterdam! Such beauty! 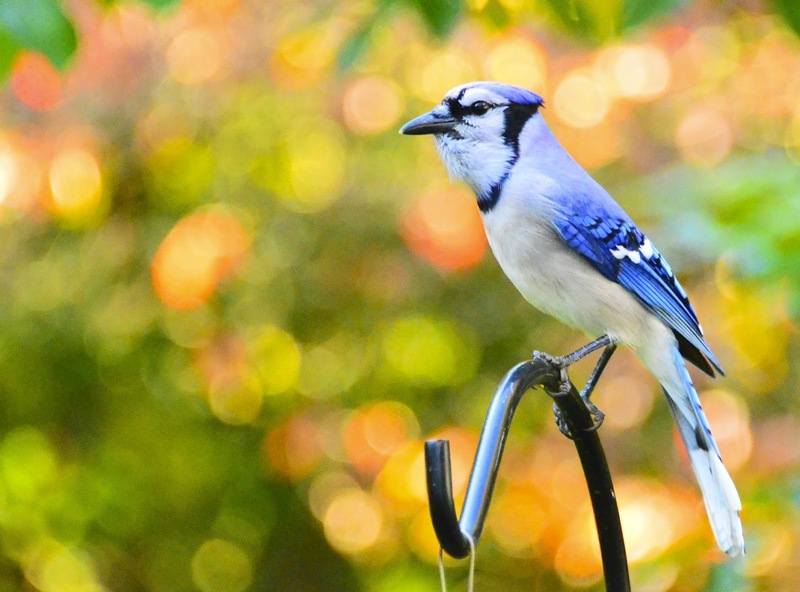 The standouts for me are the blue jay with the gorgeous bokeh and the first shot of the reflection. Reena, I haven't heard the word "hiney" since I left PA! Your watery photos are mesmerizing and the bird shots have such clarity. Enjoy your trip. That is awesome, as a professional traveler. Hi Reena...The first one is awesome...and the last is one of my favorite feathered friends... cute!! It is great in Philly right now, isn't it? That's why I'm so unhappy to be here on a boat in Texas. Looking forward to your report from Amsterdam. That destination is on our radar. Beautiful shots! Can't wait to see the shots that you'll be bringing back from Amsterdam. Winter has hit us here! Uh oh .. you forgot something ... me!!!!!!!! We have some ducks that swim in the pond behind my house. You got some great shots of them. Everytime I go out to get a picture, they swim to the other side. I guess I am not as fast as you are. Beautiful pictures, look forward to seeing what you find in Amsterdam. Reena, these images are so very atmospheric - maybe I say that every time but I think it's a real gift being able to take the beholder to a special place in themselves... And I do so appreciate your Fall images from your last post too. We don't really get Fall here in Greece and I so miss the beautiful colors during Fall... I'm sure Amsterdam will be a color treat! Wishing you a terrific trip! What a nice collection to celebrate Autumn! This has now become my favorite time of year! Always a joy to see your photo and your backyard friends. Enjoy your trip.. I hope your flight got out! wow, reena the reflections are terrific, so are the colours! Beautiful photos, Reena! I hope Sandy isn't as bad as the weather people have predicted. Preciosas capturas,son excelentes todas tus fotos!! Saludos desde Argentina. I love the ducks. They are always fun, even the common mallards. Oh you know how I love your birdie posts :) These are Delightful!